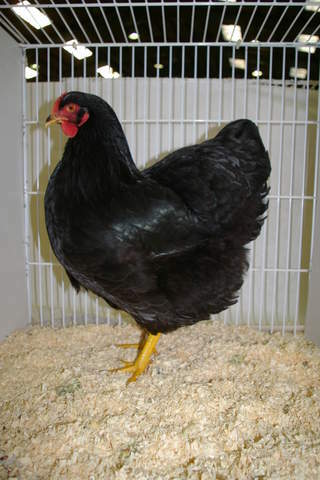 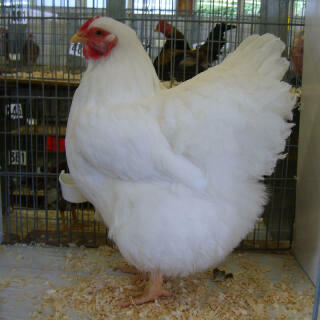 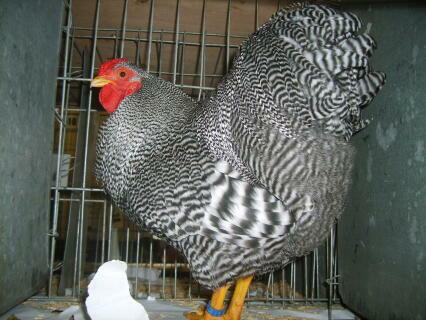 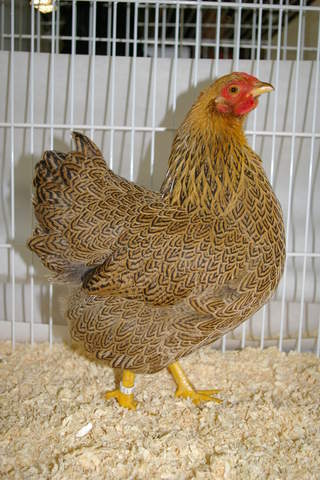 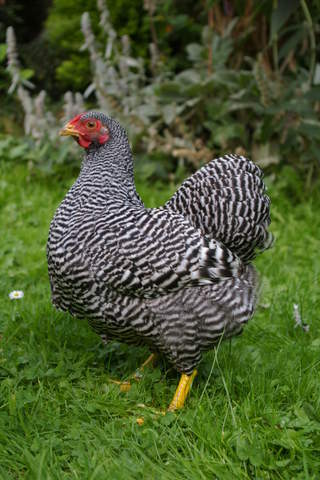 Wyandottes originate from the United States and no one really knows which breeds were used to create the Wyandotte breed. 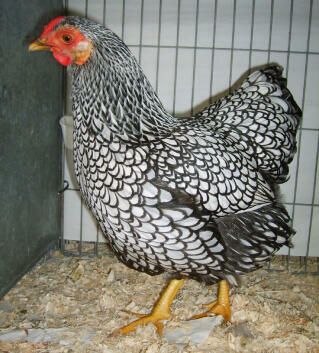 They were first reported in the 1860s and the first variety was the silver laced variant. 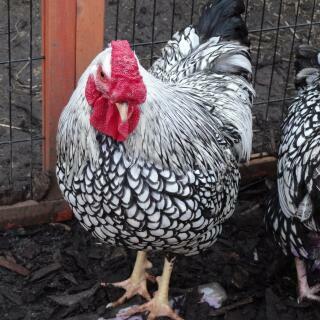 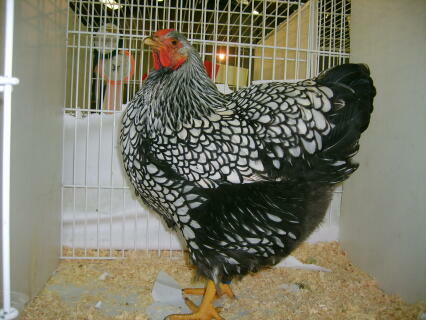 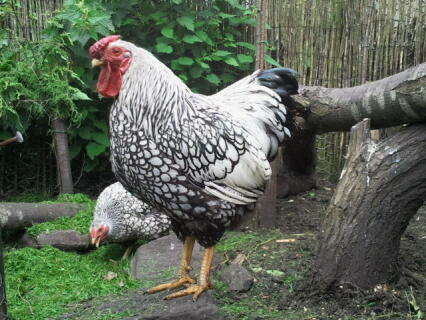 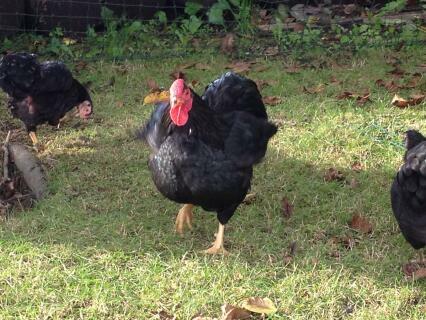 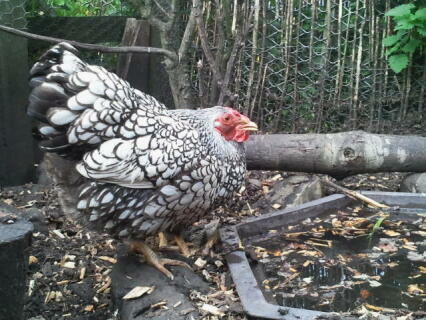 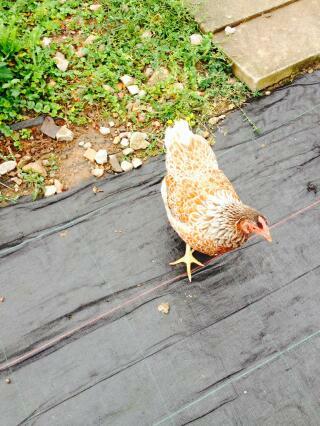 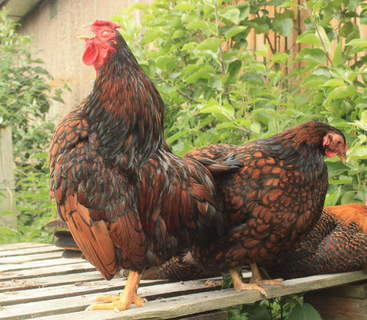 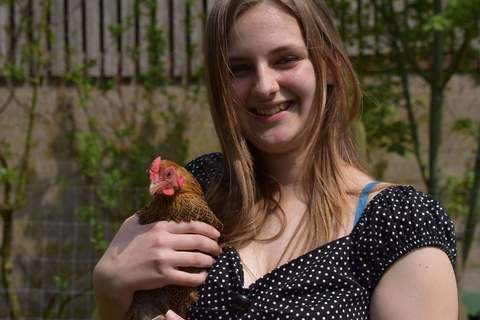 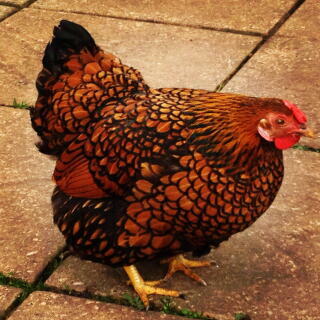 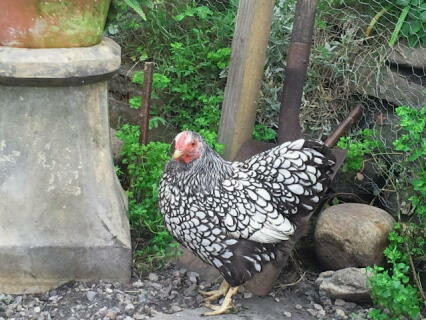 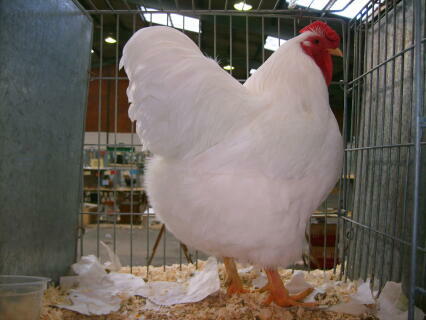 They are large chickens with a particularly rounded appearance. 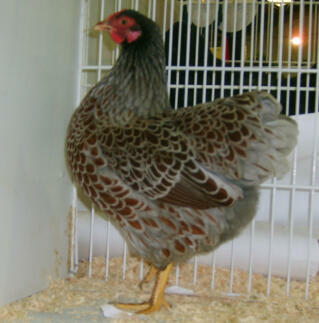 They have broad bodies and are full feathered. 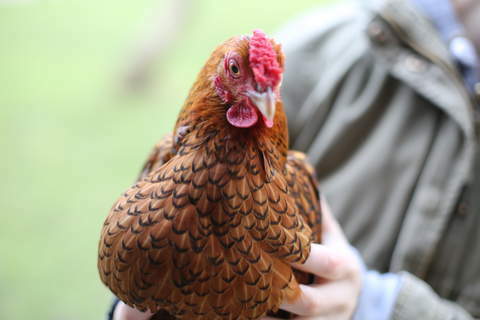 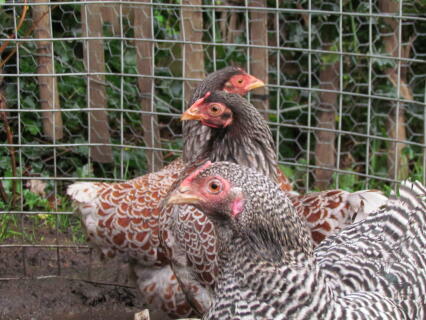 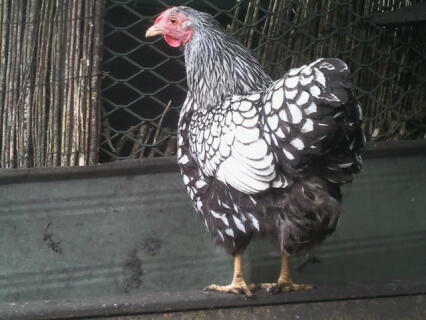 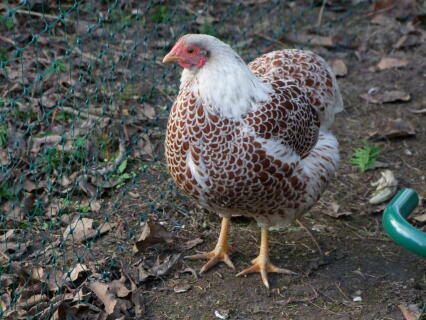 The hens have a deep breast and backside which shows that they are good layers. 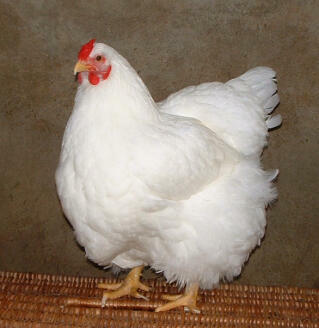 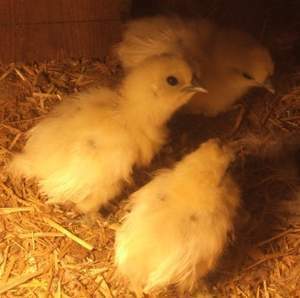 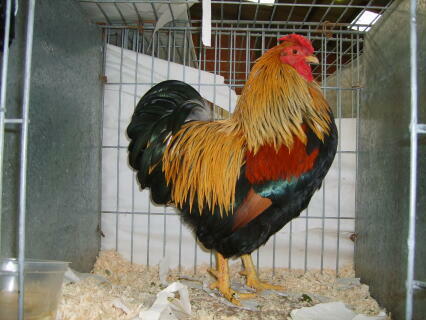 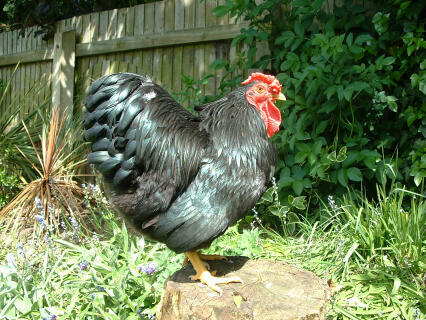 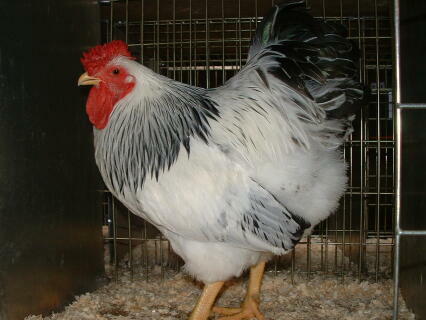 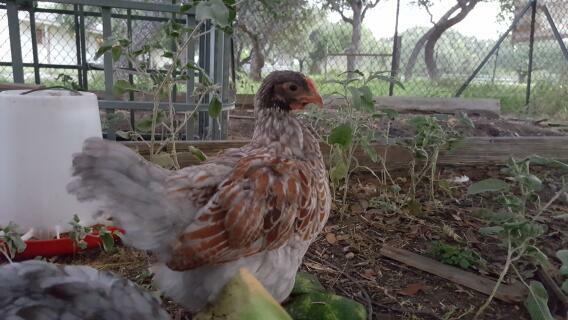 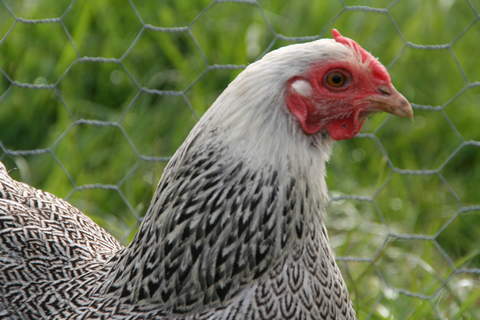 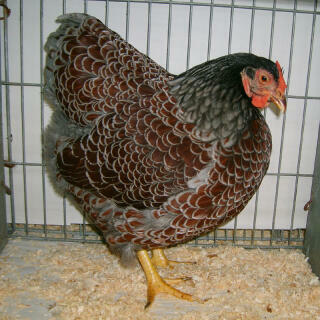 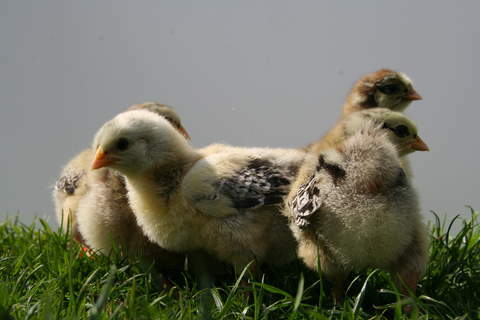 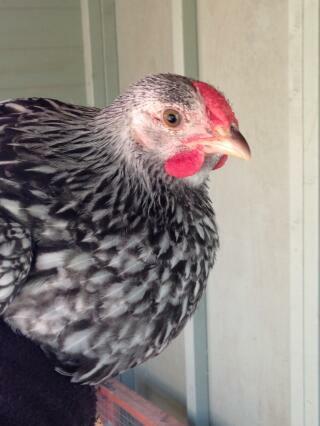 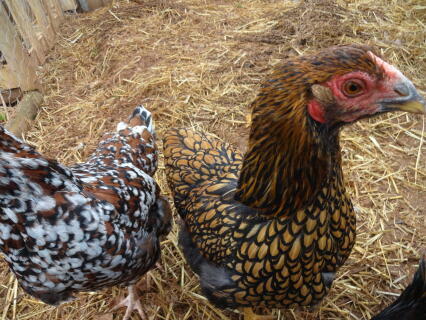 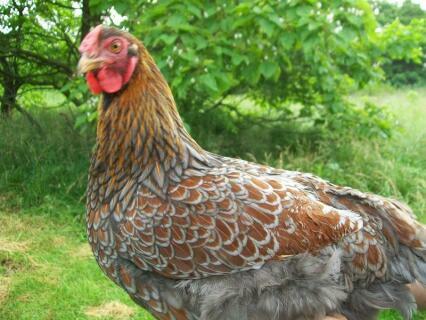 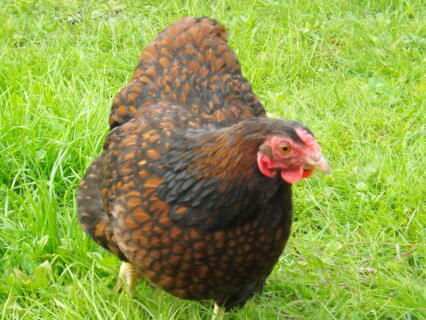 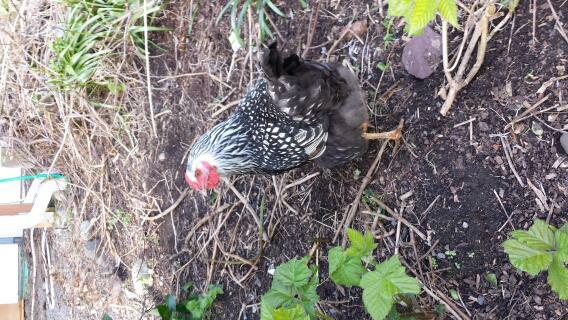 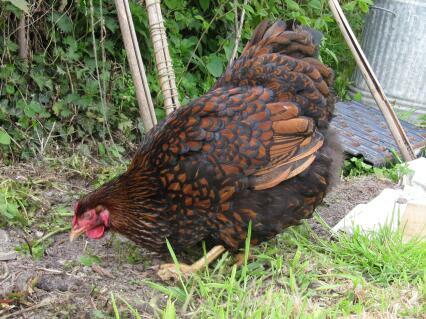 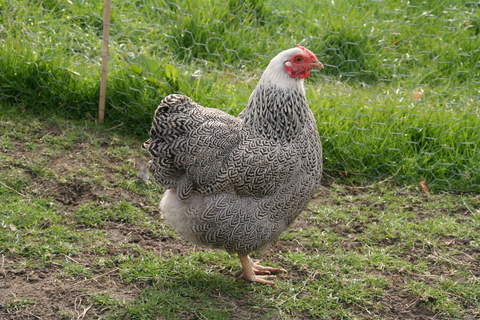 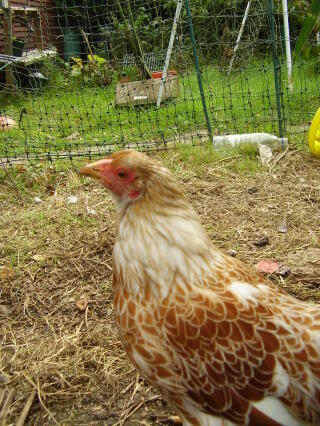 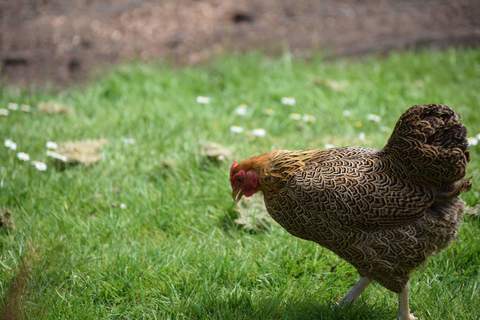 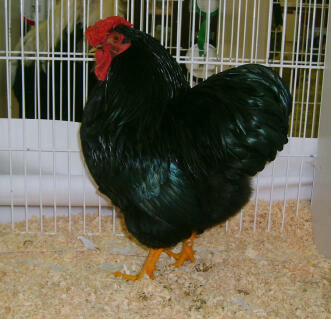 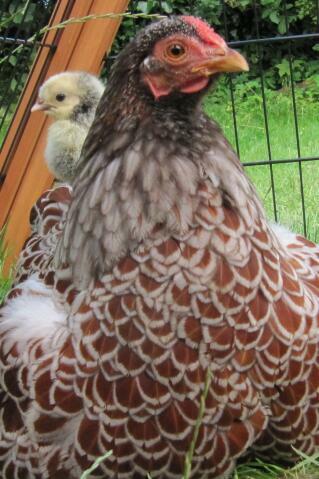 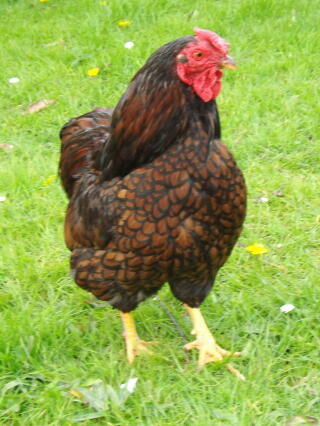 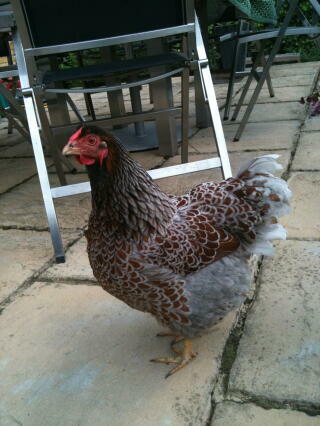 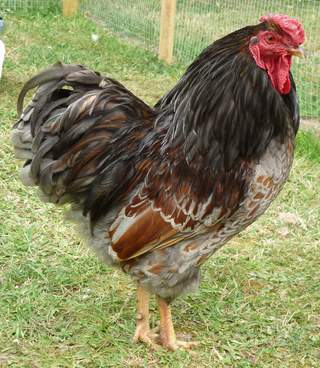 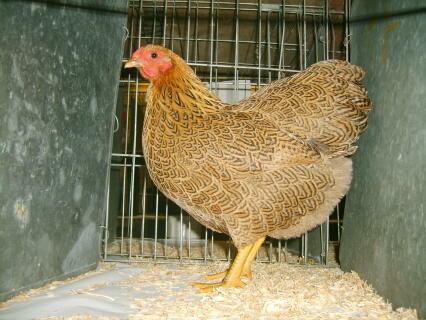 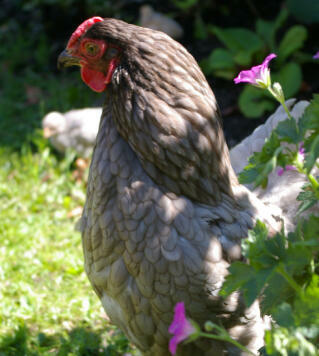 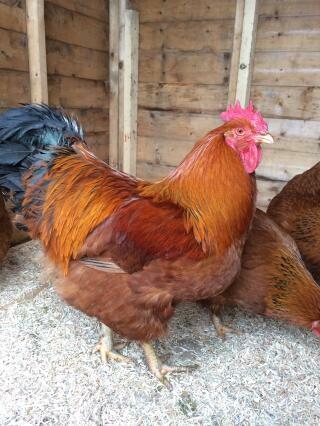 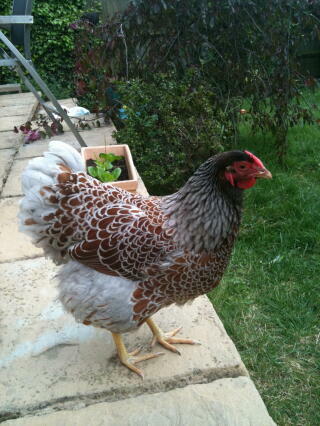 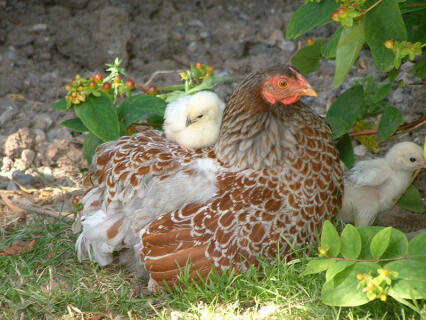 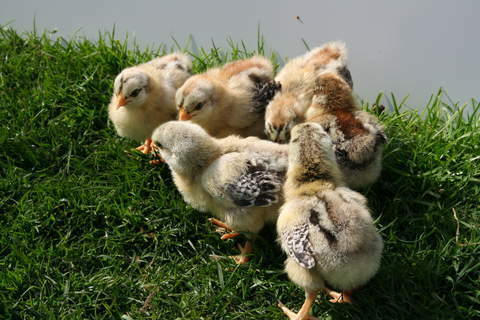 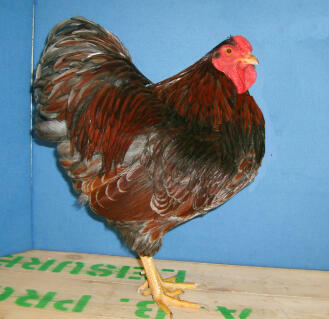 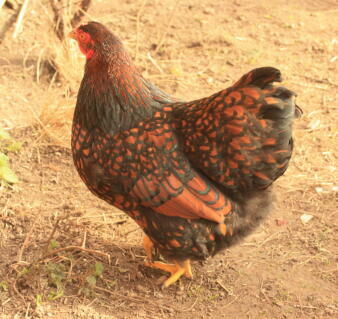 The Wyandotte has yellow legs with a round, short head, rose comb, bright red ear lobes and reddish bay eyes. 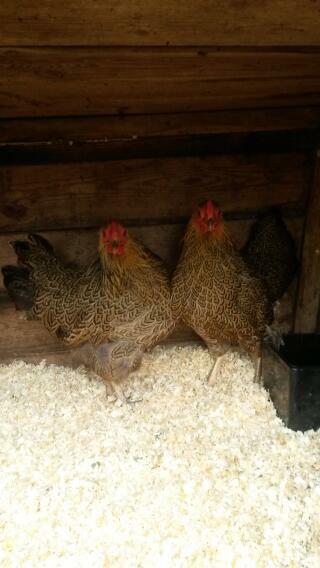 They are a good dual purpose breed. 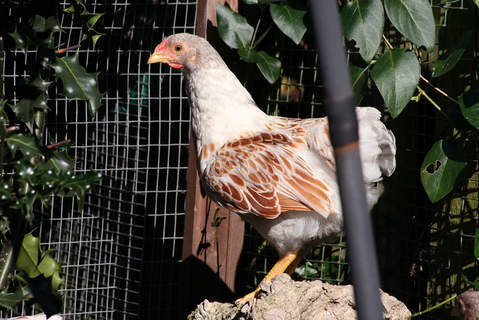 White, Blue, Buff, Red, Black, Barred, Partridge and Silver Pencilled, Silver, Gold, Blue and Buff Laced, and finally Columbian which has similar markings to the Light Sussex. 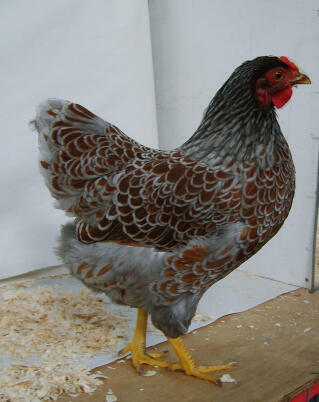 I have a mix of 6 wyandottes silver and buff laced and have won in 3 shows this year. 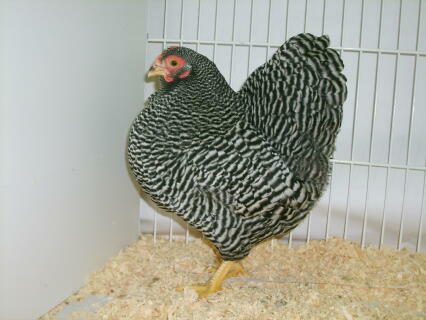 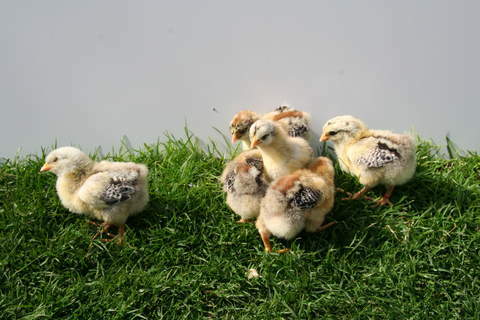 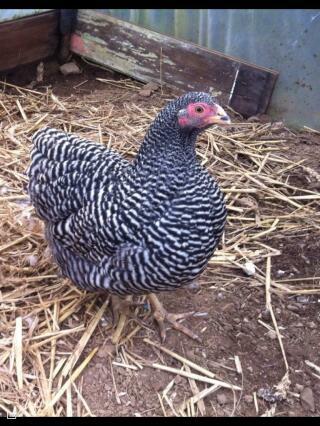 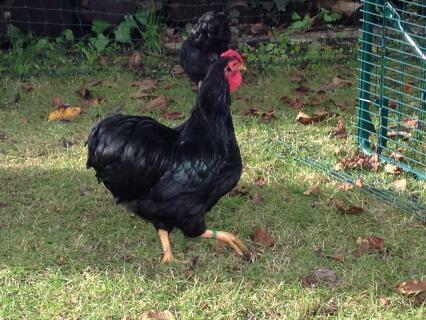 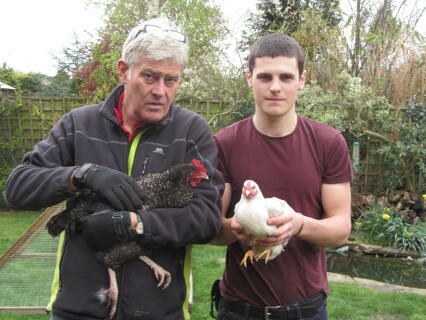 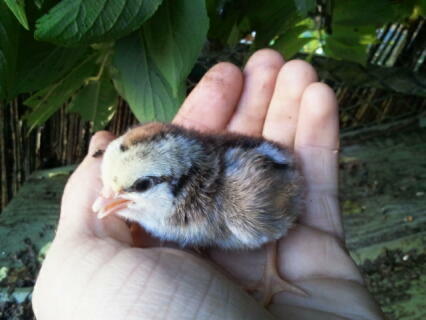 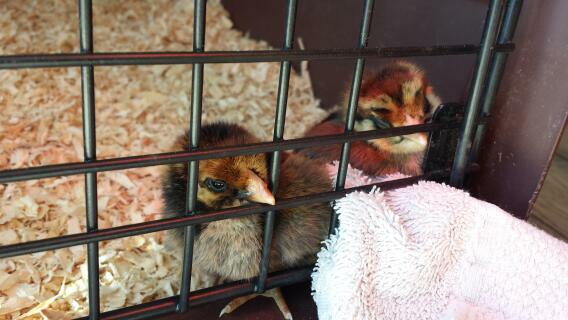 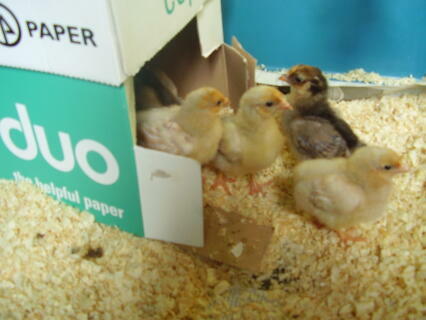 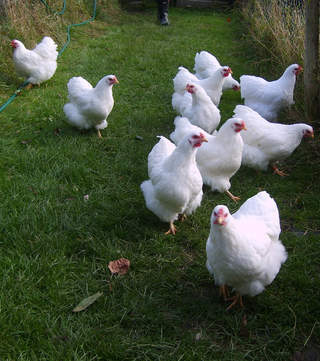 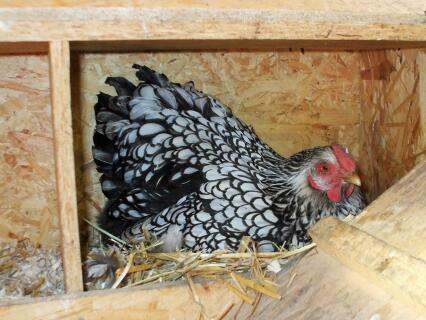 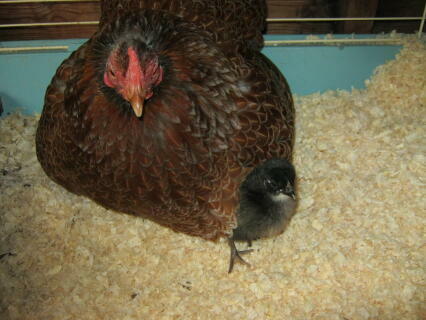 They look great and are easy to handle, the only problem as far as I am concerned is the egg production. 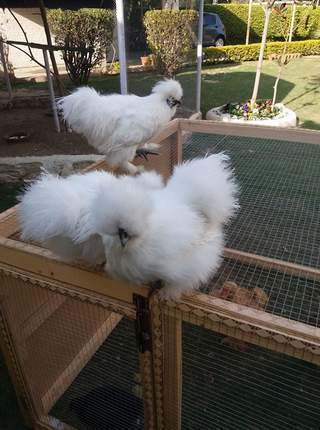 They are great breed and I would recommend them to everyone. 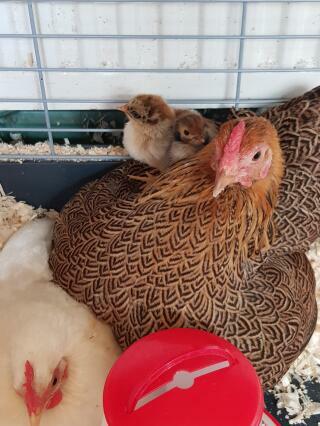 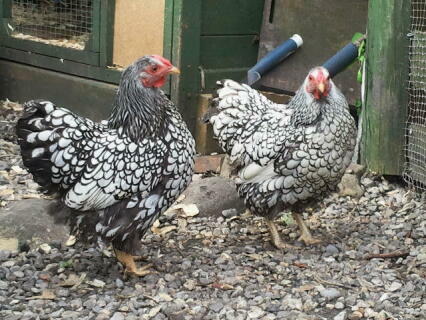 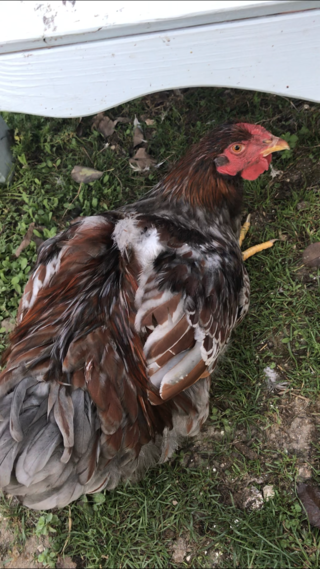 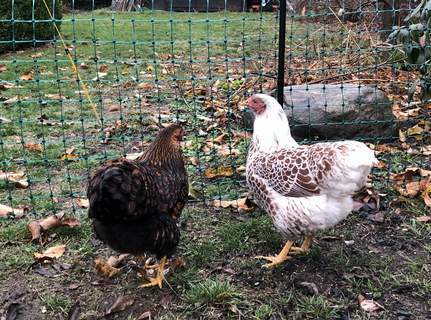 I got 3 silver laced in September, and despite being fabulously big and good looking, have not started to lay.... Breeder wasn't quite sure hatch date, so maybe very slow developers or it started getting dark early, which has pushed forward laying till next spring. Anyway, they are bottom of pecking order (have Rhodie, cream legbar and 2 light sussex) but they have integrated and settled in well. 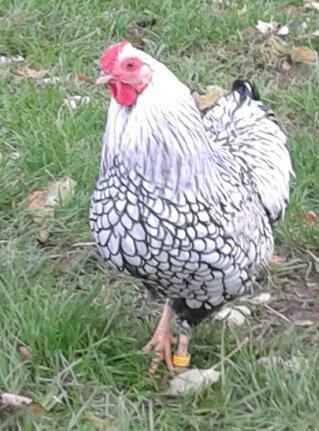 A bit daft. 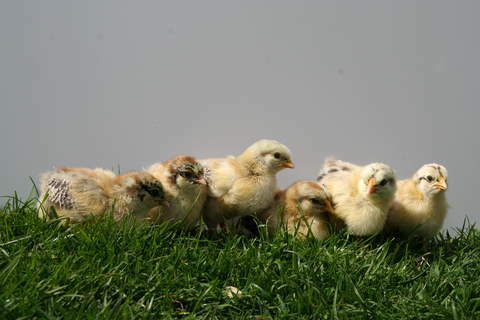 Make sweet low sound, and are delightful to watch. 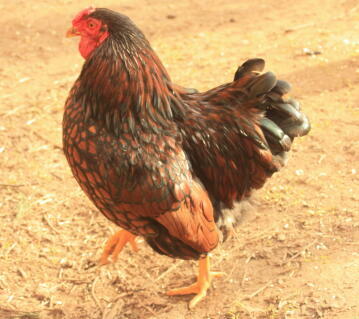 Like to fly! 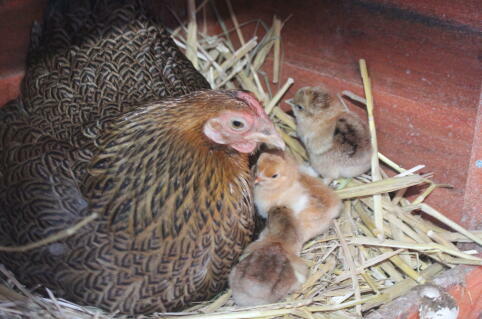 Even though they are bigger and fatter than the others.